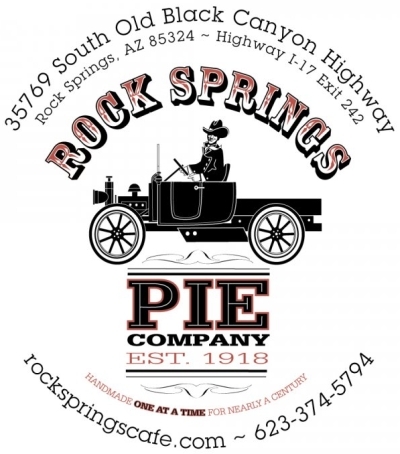 Rock Springs Cafe, also known as “The Pie Place” off I-17 in Arizona’s Sonoran desert, has been serving up home-cooked comfort food and world-renowned pies for more than 90 years! Stop by for breakfast, lunch or dinner seven days a week. As a historic location, Rock Springs Café gained its international notoriety over 30 years ago when it started selling pies and the legend of the cafe’s pastries was born. The legend continues to grow to this day. 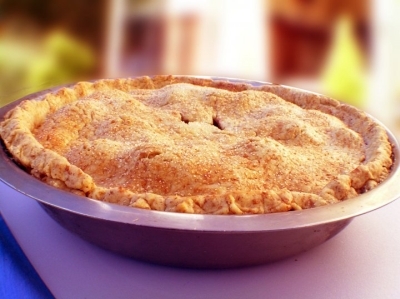 It’s not uncommon to sell thousands of pies in one weekend. 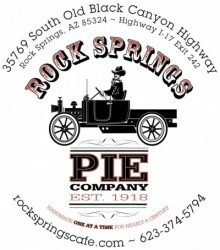 The legend of Rock Springs home-baked pies has expanded worldwide. Folks will travel miles to bite into a tasty fruit or mega meringue pie. 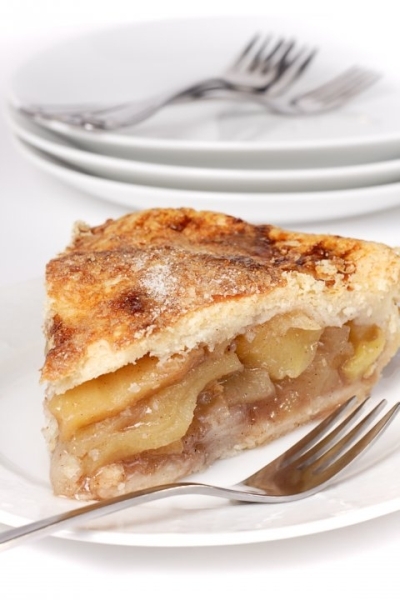 These sweet and savory preparations, baked fresh daily, have become as much of the American culture as say “apple pie”, but there’s a lot more to choose from. You can order your pies in advance, but you’ll have to order early. To give you an idea of just how popular Rock Springs pies are, we sold about 50,000 pies in 2007. But, not to worry, we’ll save one for you if you just let us know your favorite!